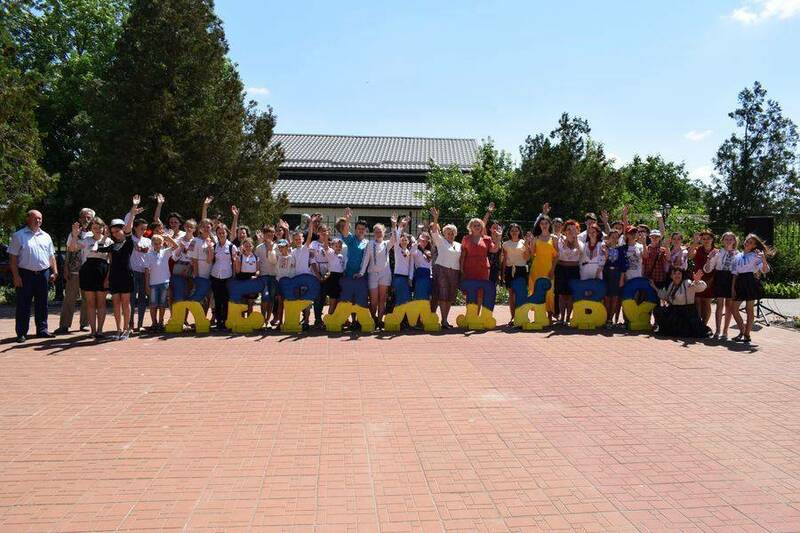 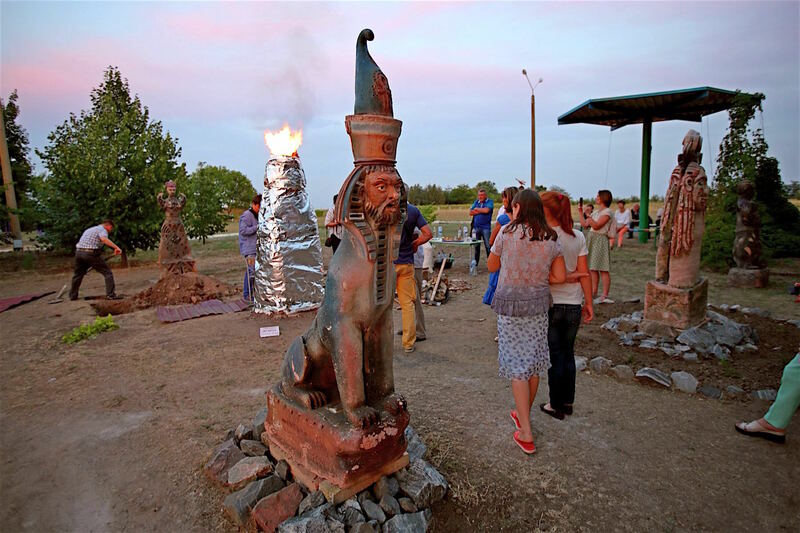 Transcarpathian artists at the plein air "Dyvosvit-2018"
From 16 June to 5 July, in the Mala Bilozerka Specialized Aesthetic Boarding School “Dyvosvit” in Vasylkivka district of Zaporizhzhia region, it was held the 12th International Art Plein Air “Dyvosvit-2018”. This year, a large-scale project in ceramics gathered 20 artists from the Czech Republic, Slovakia, Belarus, as well as from Ukrainian cities – Kyiv, Lviv, Zaporizhzhia, Dnipro, Uzhhorod, and Kremenchuk. 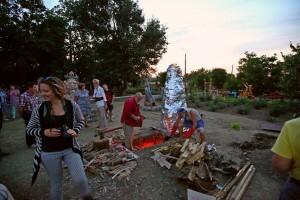 According to the organizers, the art event is not only a great opportunity to work in the open air but also to get new experience and share knowledge. 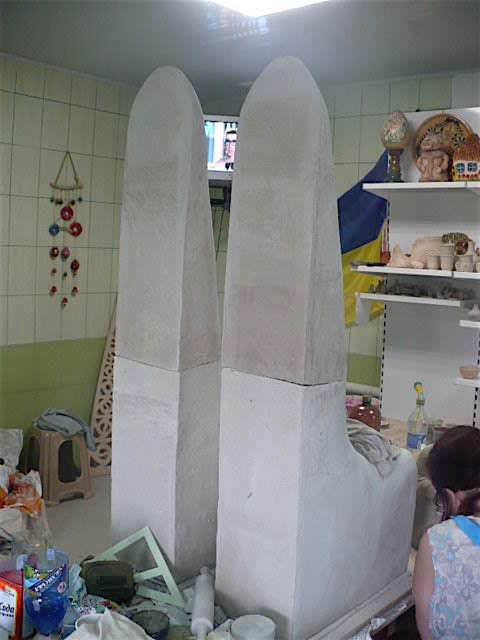 Within the framework of the plein air, it was organized master classes, creative studios, cultural and educational activities. 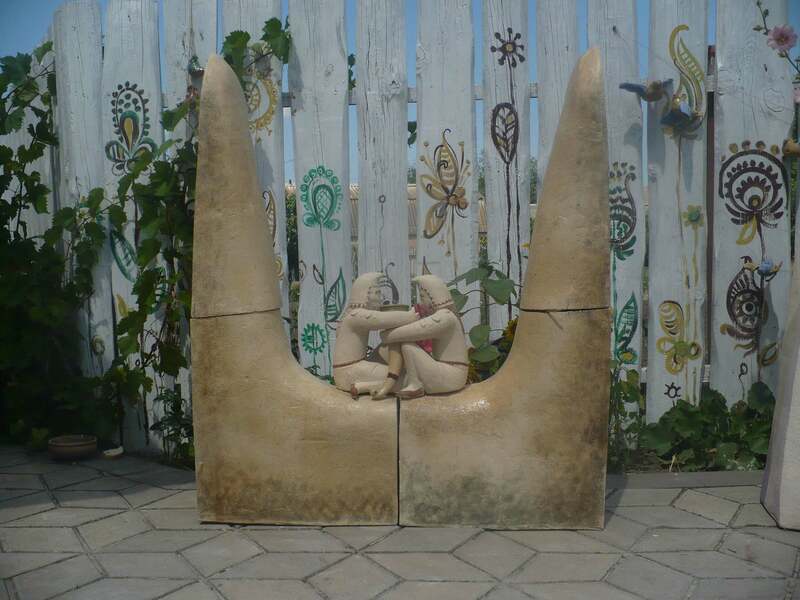 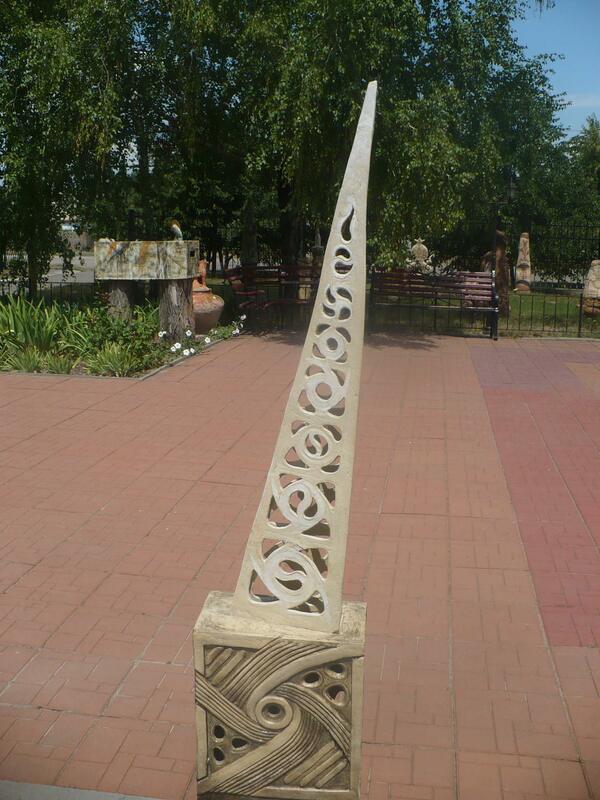 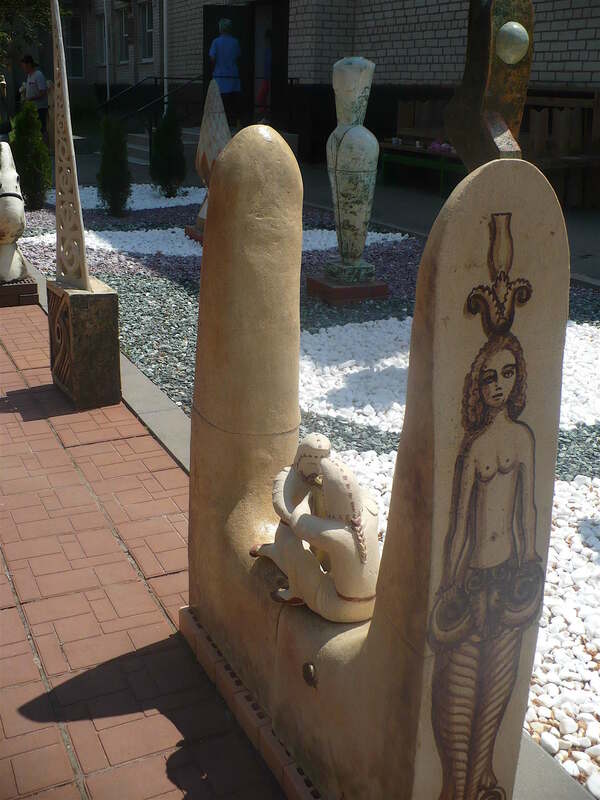 Transcarpathia was represented by the famous ceramists Myroslava Rosul and Viacheslav Vinkovskyi. 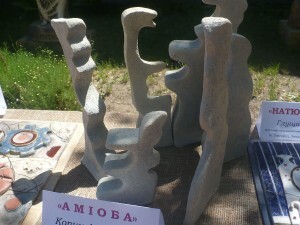 They are among the best artists of Ukraine and received the wide recognition both in their home country and abroad. 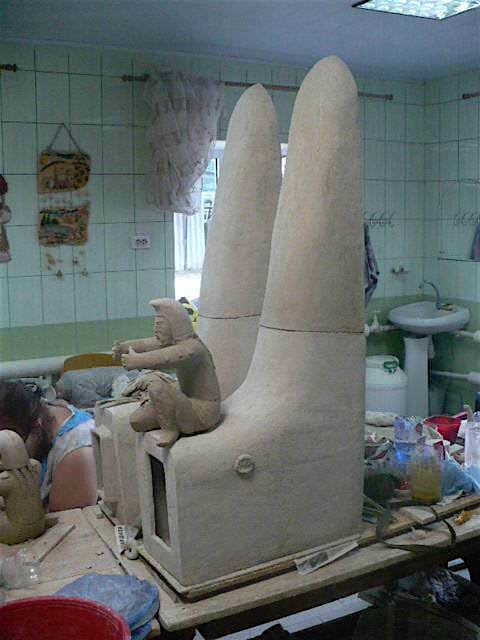 This year, the artistic couple created a series of thematic works titled “Scythians” and “Silence”. 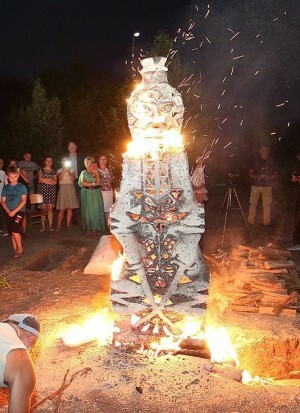 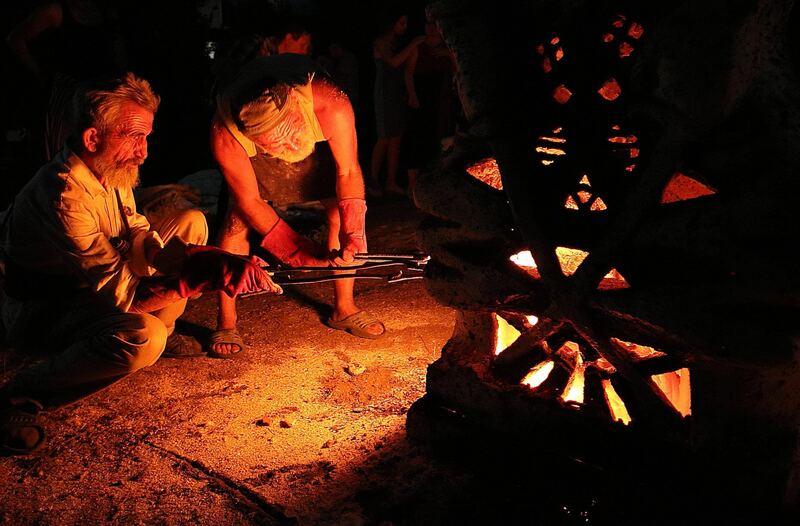 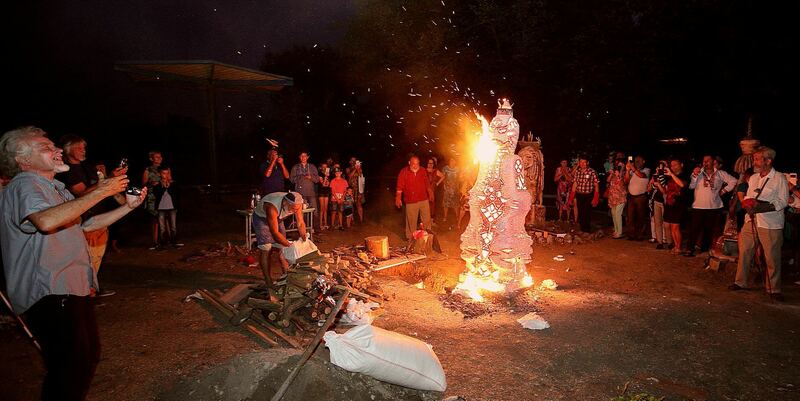 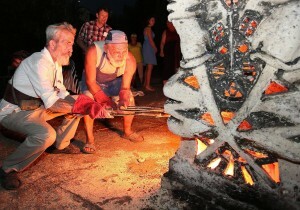 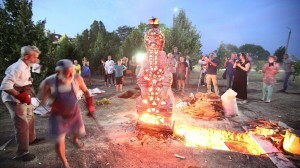 The plein air, which lasted for three weeks, ended with an exhibition of works created by its participants and traditional art fire show – a sculpture burning on an open fire. 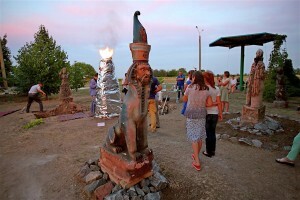 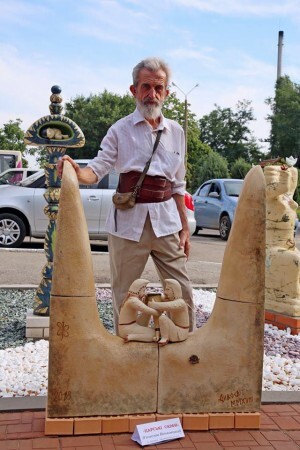 All of this year's works will remain in the garden of the boarding school in Mala Bilozerka village, where more than a hundred original garden park sculptures have been gathered over 12 years. According to the results of the 12th International Art Plein Air “Dyvosvit-2018”, it will be published a catalogue with the samples of the best sculptural compositions. 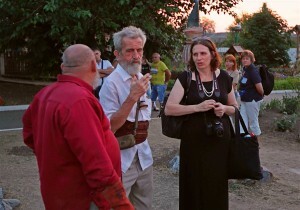 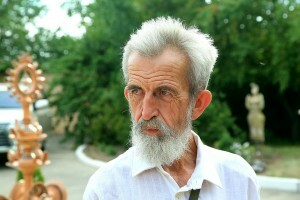 Photos provided by Volodymyr Myshanych. Some photos were taken from the Facebook page of Viacheslav Vinkovskyi and open sources.